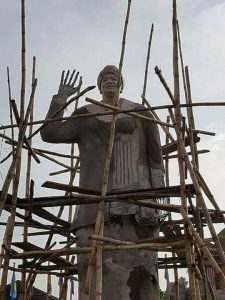 The statue of Liberian President, Ellen Johnson Sirleaf, has been visibly spotted in Owerri ahead of the president’s two-day visit to Imo state. According to a report by Imo state government, Liberian president will arrive Imo state on Thursday, November 9, 2017, to meet with students of the Rochas Foundation College of Africa and the Students from Liberia in particular whose parents died of Ebola. The Liberian president will also be expected to key into Vision 2030 of ROCHAS FOUNDATION COLLEGE, targetted at taking one million children of Africa out of the street and giving them education. 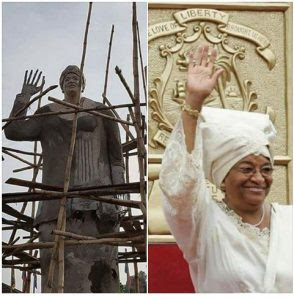 President Ellen Johnson Sirleaf, will be appreciated with Imo Merit Award and a road will also be named after her. And with all the feats she has achieved, she earns a Place in the Imo Hall of fame.